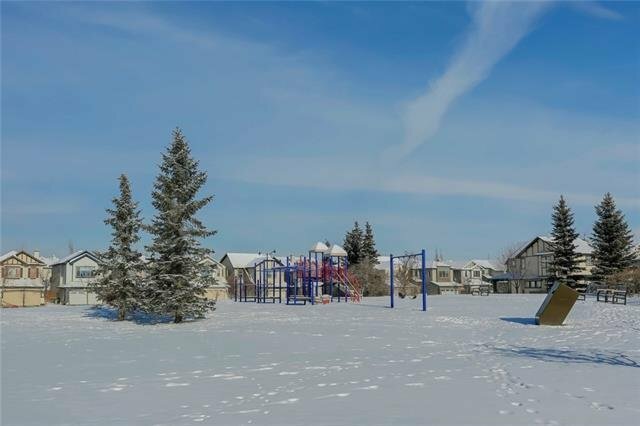 INCREDIBLE PRICE- directly across from green space and playground. 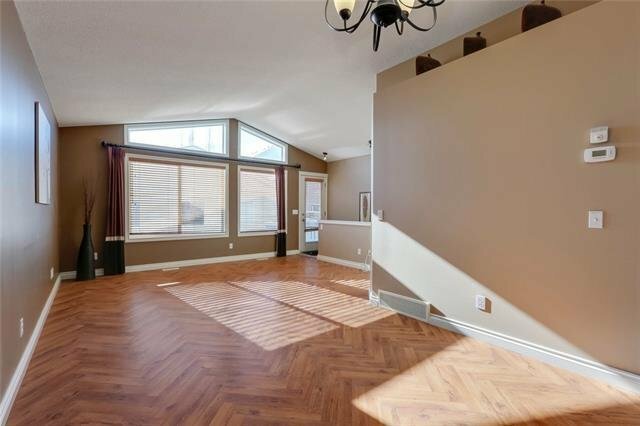 This former show home offers a brilliantly designed plan, vaulted ceilings, skylight, walls of windows and large principle rooms. 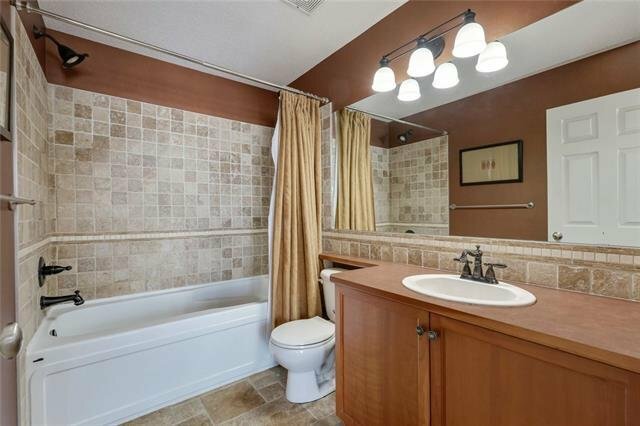 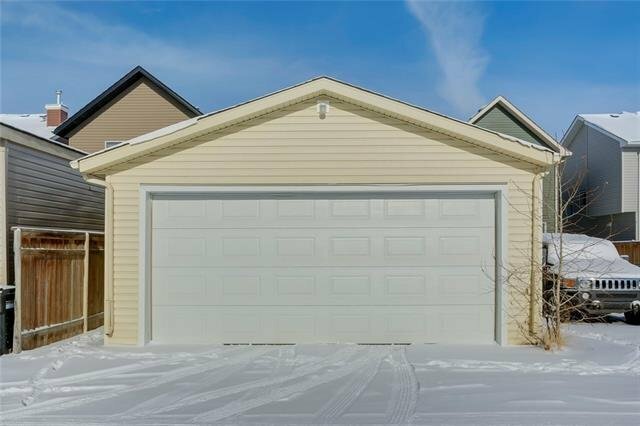 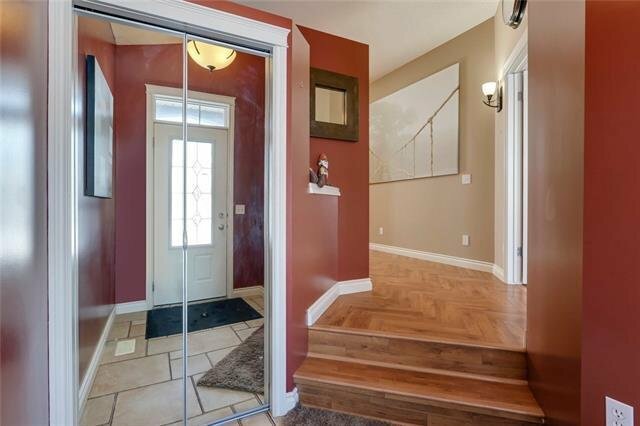 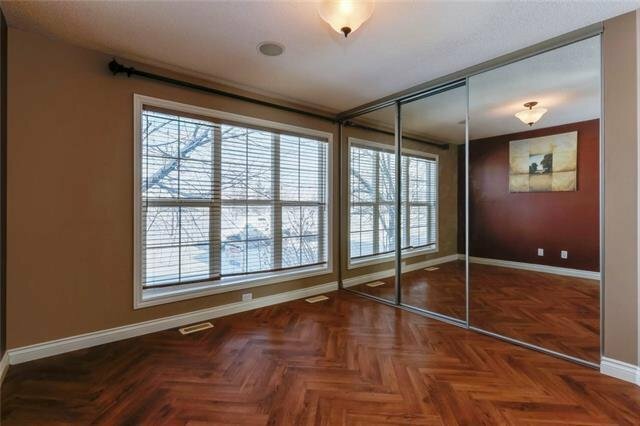 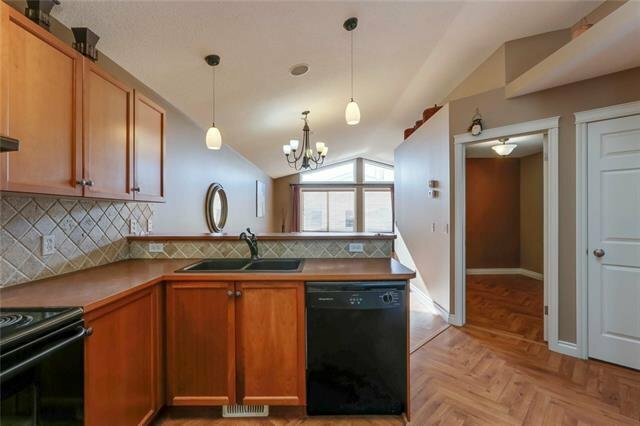 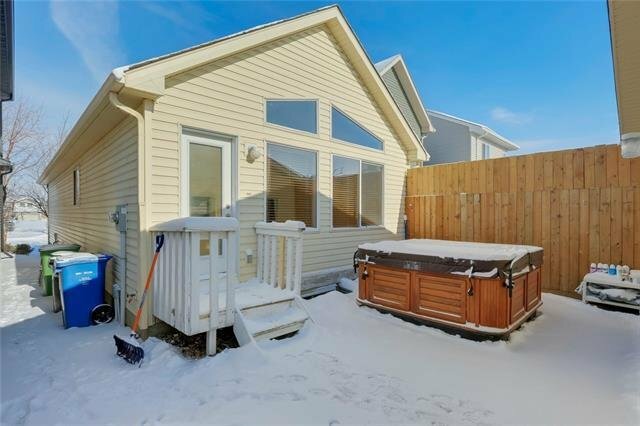 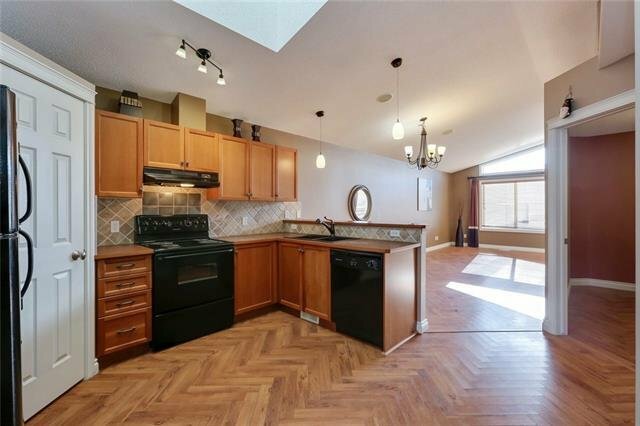 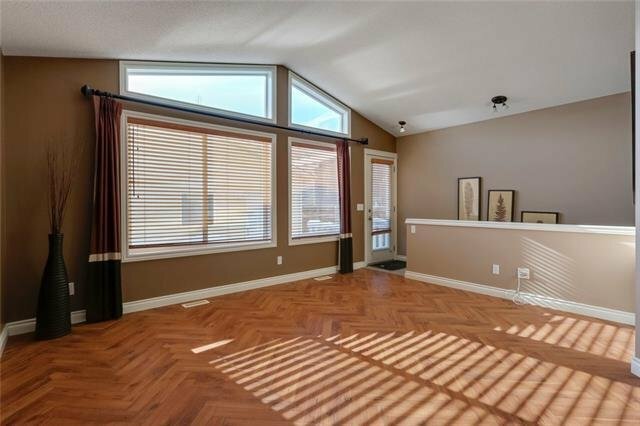 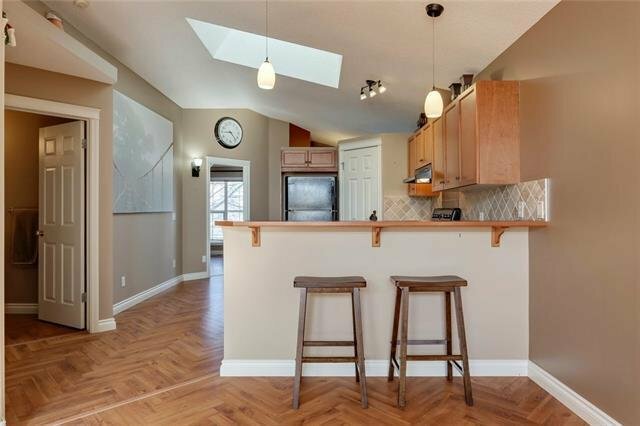 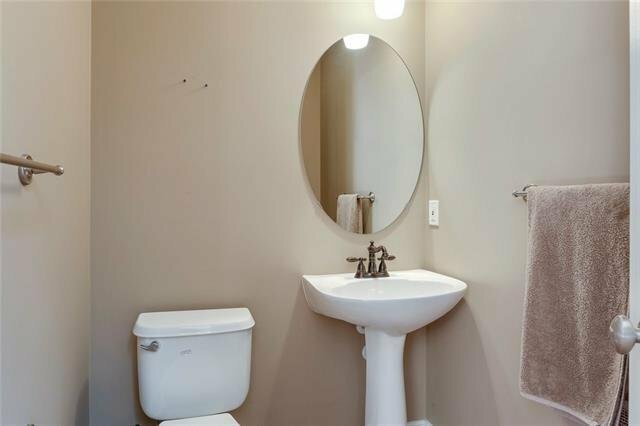 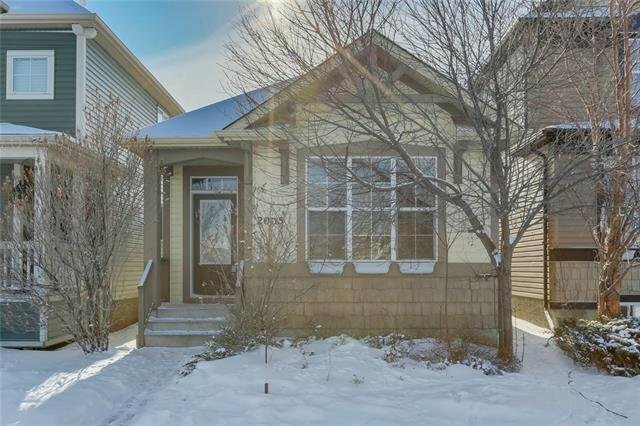 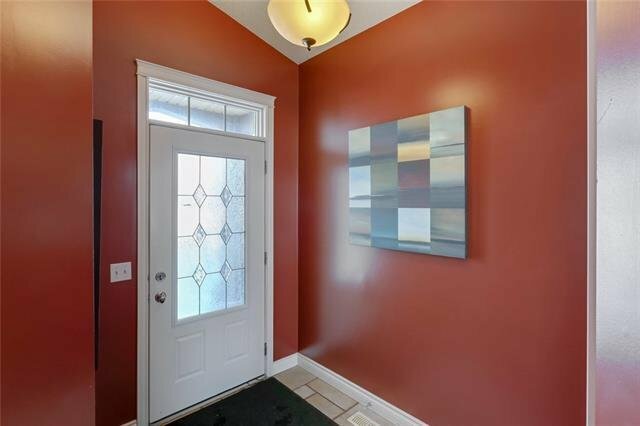 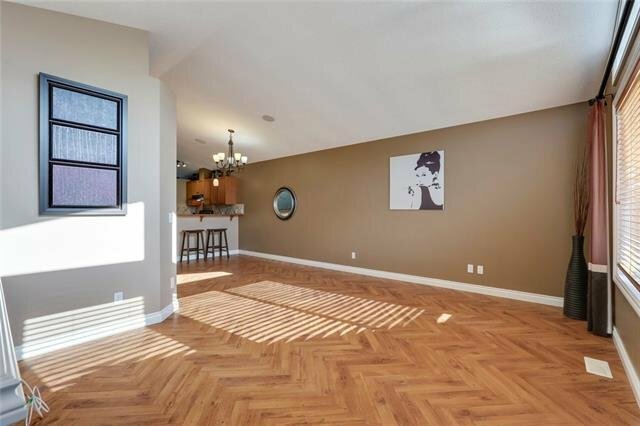 OVERSIZED 21.5ft x 25 ft dream garage w/8 foot door (concrete poured to City elevation specifications), central AC + private hot tub + low maintenance back yard. 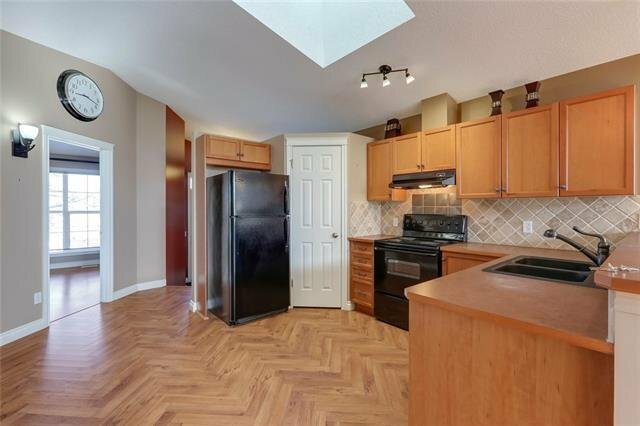 Main level presents a great room plan with spacious kitchen highlighted by an eat up bar, pantry, tiled backsplash, terrific storage/prep space. 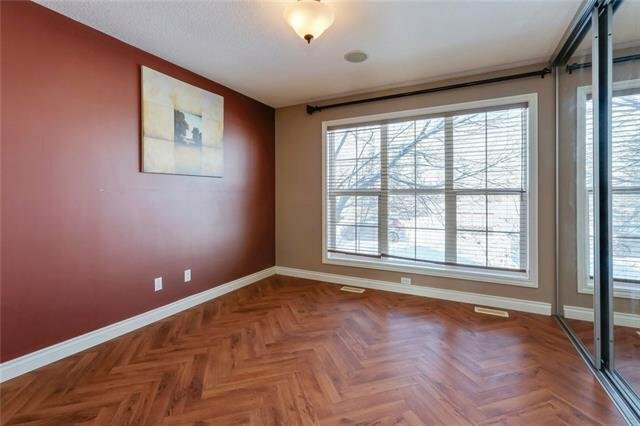 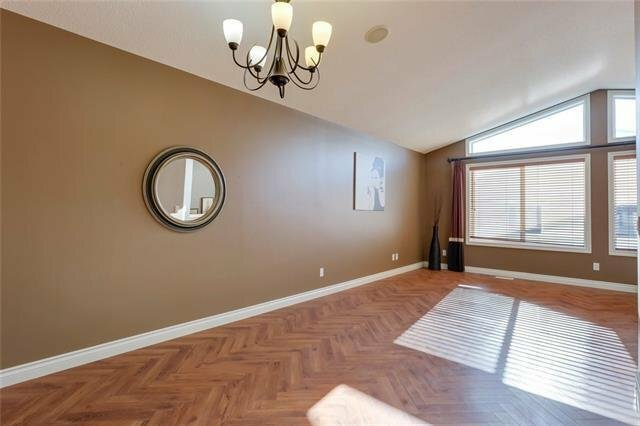 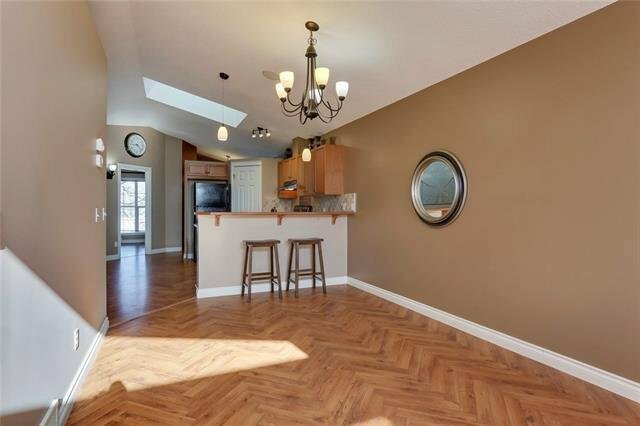 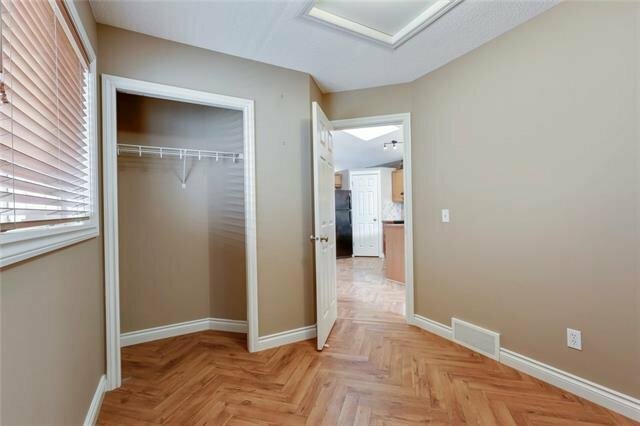 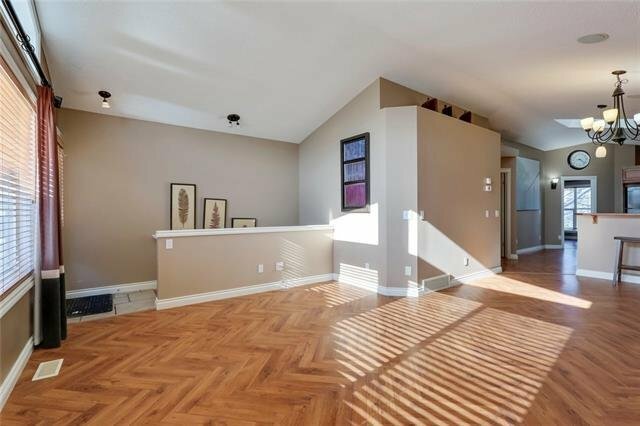 Dedicated dining area opens to sun soaked living room accented w/herringbone laminate wood flooring + access to yard. 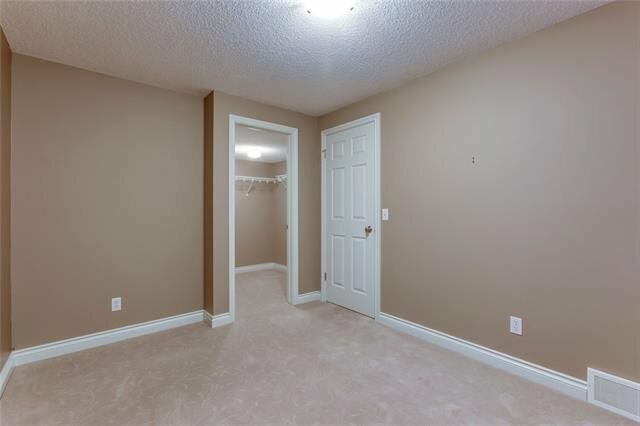 Master suite easily accommodates a king size bed, large closet space and 4-piece ensuite. 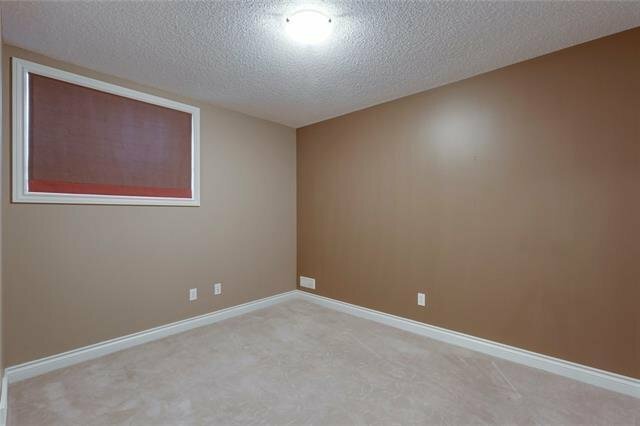 2nd bedroom makes a perfect den or children bedroom + a 2-piece bath. 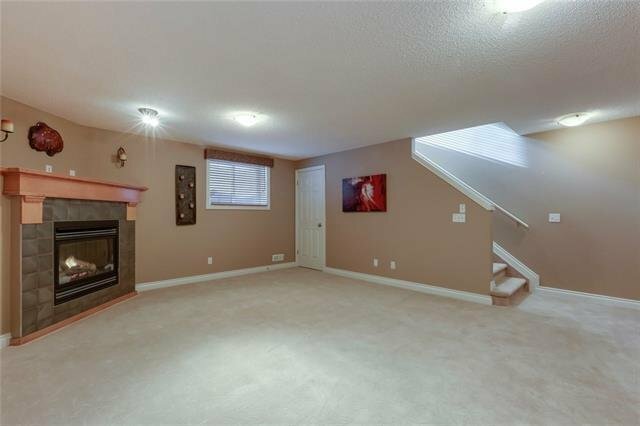 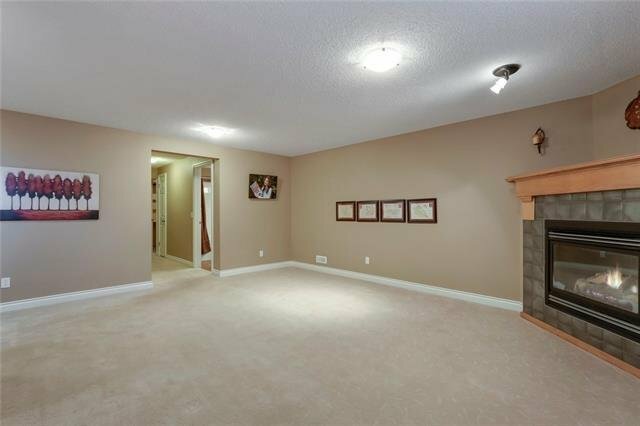 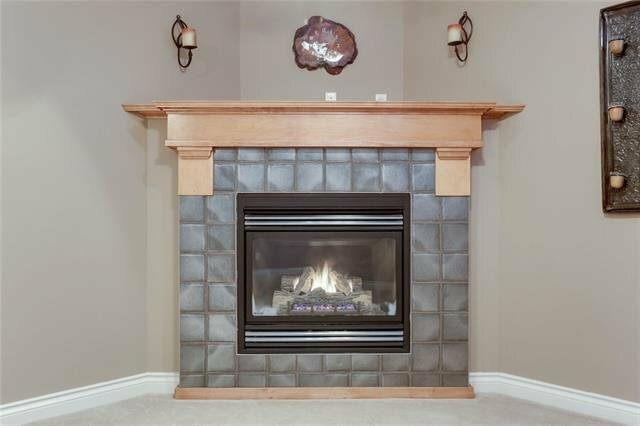 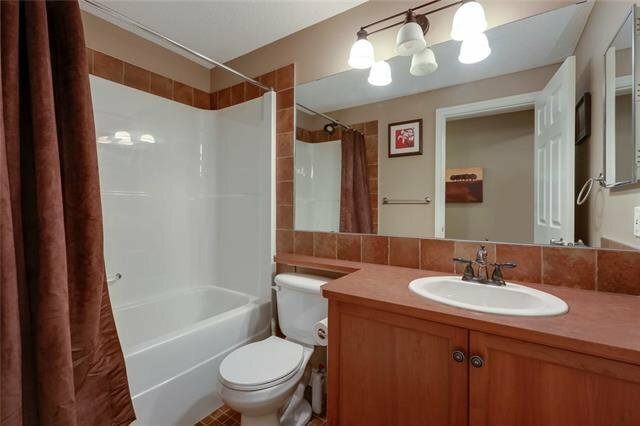 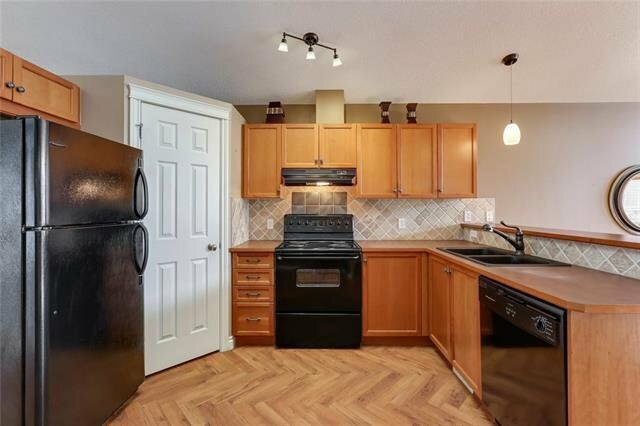 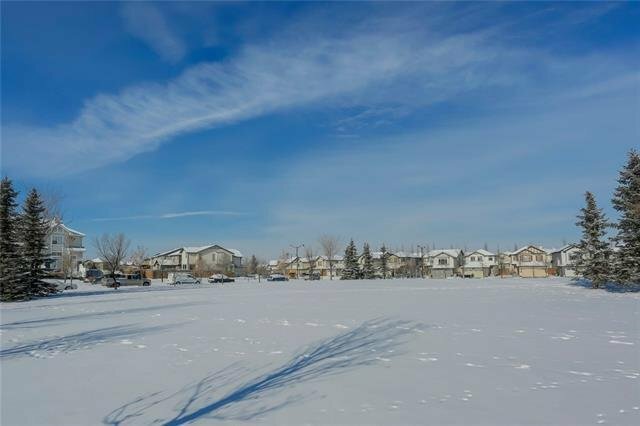 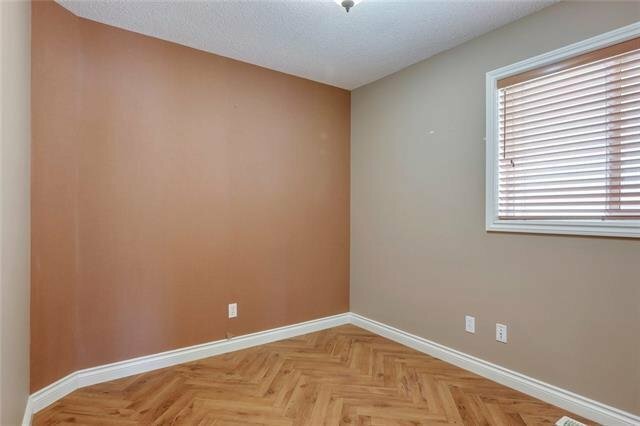 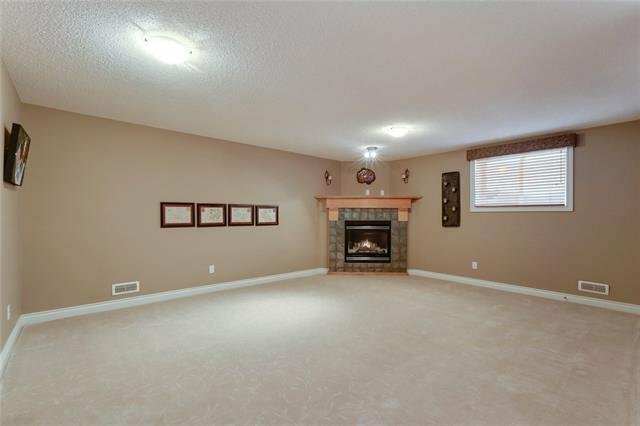 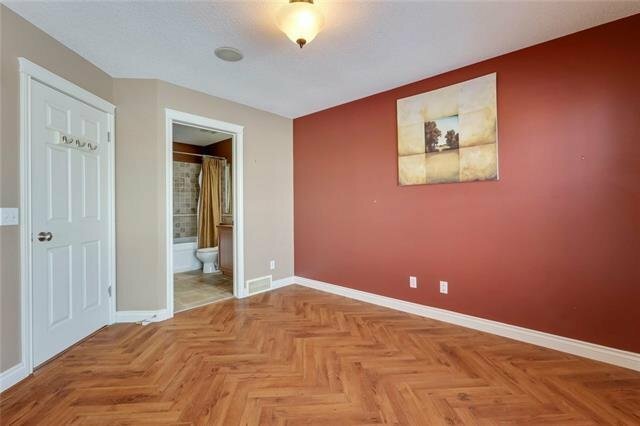 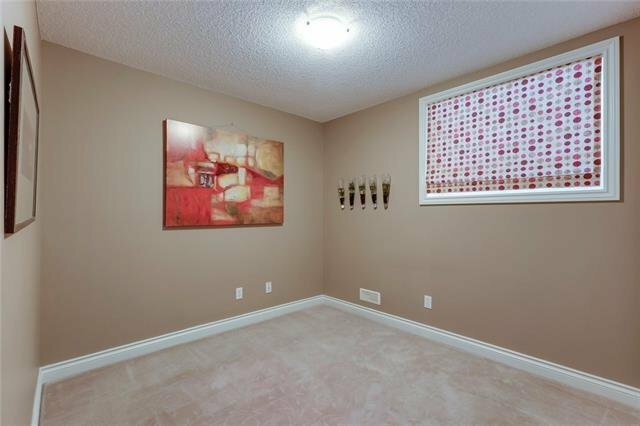 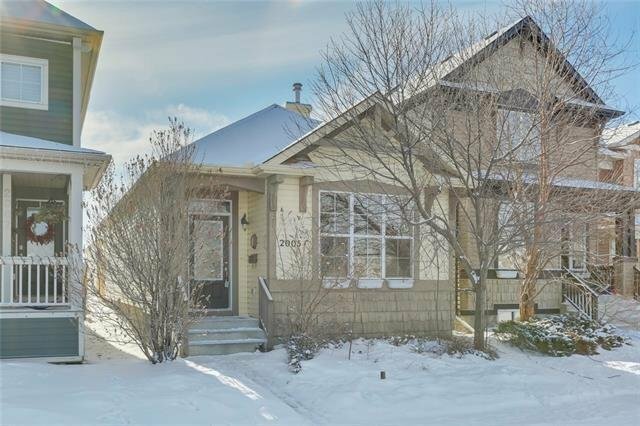 Lovely, fully developed lower level features a generous family room with gas fireplace, 2 large bedrooms (one has a huge walk-in closet), 4-piece bath and workshop/storage area. 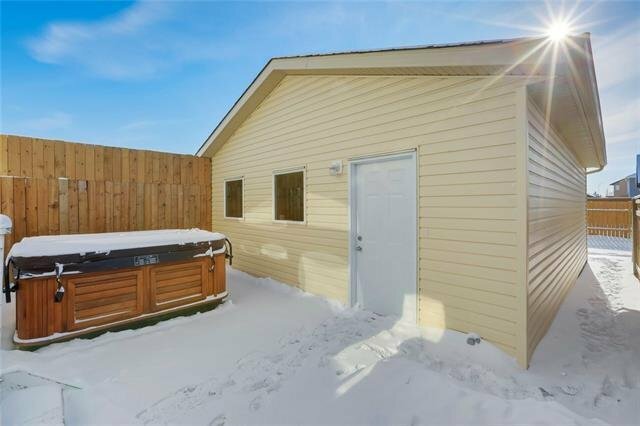 Enjoy all the amenities New Brighton has to offer!